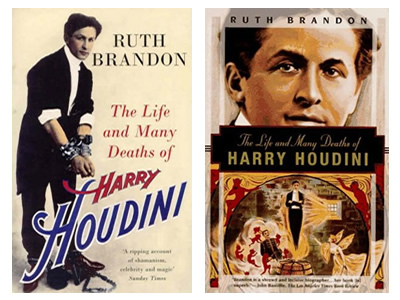 When Harry Houdini died in 1926, he was one of the most famous men in the world. Starting out as a vaudeville magician, he soon began to specialize in the escapes for which his name remains a byword. This book reveals the secrets of Houdini’s most celebrated escapes; more importantly, it looks at the fascinating questions raised by Houdini’s life. Why should a person become a mythic figure just because he burst out of handcuffs? What is the relation between stage magic and ‘real’ magic? What, exactly, was Houdini trying to escape from? The answers reveal a man far more extraordinary than any of his audience could have imagined. This entry was posted on Sunday, March 21st, 2010 at 5:37 pm	and is filed under Non Fiction. You can follow any comments to this entry through the RSS 2.0 feed. Responses are currently closed, but you can trackback from your own site.